Enchanted Tiki Room Adventureland attraction at Disneyland, opened on June 23, 1963. 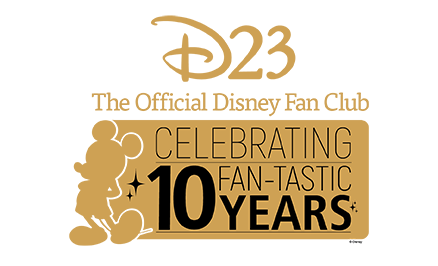 The first attraction to feature sophisticated Audio-Animatronics figures. The term Audio-Animatronics had been utilized earlier in describing the movable figures populating Nature’s Wonderland, but the process was greatly changed enabling press releases to call the Enchanted Tiki Room the first to use Audio-Animatronics. The four parrot hosts of the show are named Fritz, Michael, Pierre, and José. 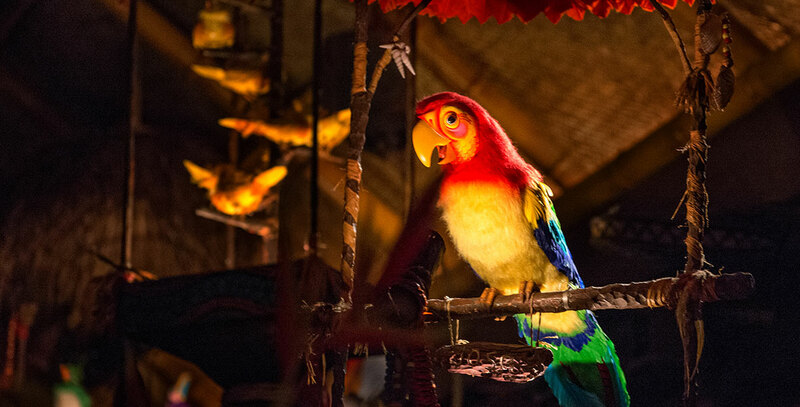 They introduce a lively 17-minute musical presentation by more than 200 birds, flowers, and tikis. The audience is invited to join in with “Let’s All Sing Like the Birdies Sing.” It had originally been planned to have the Tiki Room as a restaurant, but that would have greatly limited capacity. Sponsored from 1964 to 1973 by United Airlines, and from January 1976 on by Dole Pineapple. Also in Adventureland at Tokyo Disneyland; opened April 15, 1983. The similar attraction in Magic Kingdom Park at Walt Disney World was known as the Tropical Serenade, located in the Sunshine Pavilion. The Florida attraction’s show was extensively renovated, reopening in the spring of 1998 as The Enchanted Tiki Room–Under New Management starring Iago from Aladdin and Zazu from The Lion King; after another remodeling in 2011, the attraction was renamed Walt Disney’s Enchanted Tiki Room. The Tokyo Disneyland version had a revised show, called The Enchanted Tiki Room: Now Playing Get the Fever! in 1999.